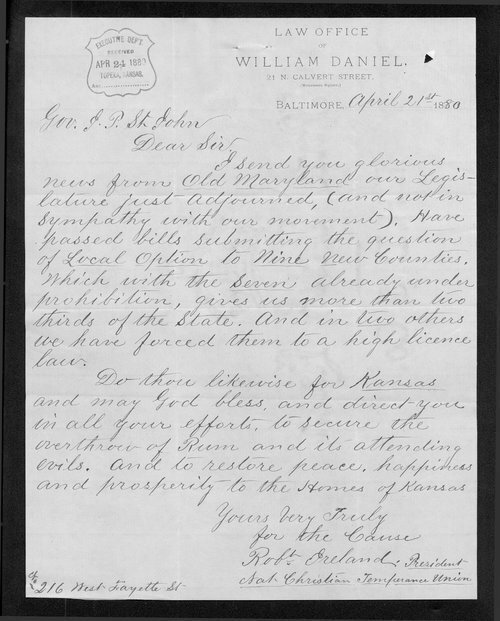 In this letter, Robert Ireland of Baltimore, Maryland, advises Kansas Governor St. John that over two thirds of Maryland counties either have or are considering Local Option prohibition laws. He offers emphatic hope that Kansas will "overthrow....Rum and its attending evils." Robert Ireland was president of the National Christian Temperance Union.